For Microsoft, 1984 means a partnership with Apple, Microsoft Press Introduces its first two titles and we create a new Hardware and Peripherals Division dedicated to developing and marketing hardware products. 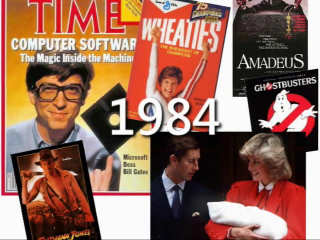 The 1984 Fiscal year-end sales total $97,479,000. The 1984 fiscal Year employee headcount totals 860 people. Microsoft and Apple Computer announce the new Apple Macintosh computer and Microsoft's custom-designed productivity software for the new computer. 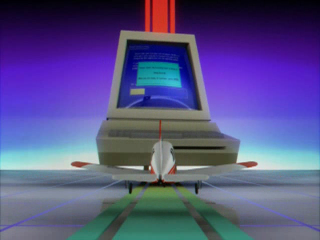 Macintosh's interface, combined with Microsoft’s software: Multiplan, Chart, Word, File, and BASIC provides a powerful and functional environment for all users. Microsoft joins forces with Spectravideo and four Japanese firms to establish a hardware/software compatibility standard based on the popular Z80® 8-bit microcomputer. 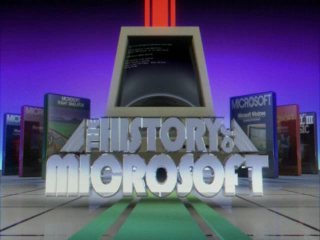 The standard, called MSX, was announced on June 15, 1983 and made available a new set of standard specifications so diverse software programs would be compatible with low-cost home computers from different manufacturers. MSX was developed primarily for the Japanese market as the first unified format in Japan for software or hardware. 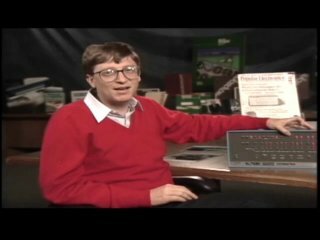 It was never adapted for sale in the U.S.
Microsoft Press introduces its first two titles: Cary Lu's "The Apple Macintosh Book” and Peter Norton's "Exploring the IBM PCjr Home Computer." Microsoft creates a new Hardware and Peripherals Division dedicated to developing and marketing hardware products that complement Microsoft's software product line. 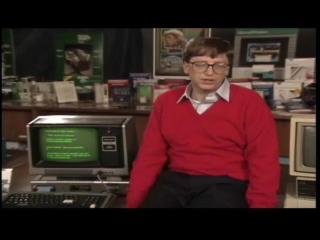 IBM chooses XENIX and MS-DOS for its new generation personal computer, the IBM PC AT. Microsoft schedules a meeting with Redmond city officials to discuss relocating the company to the Evergreen Place development in 1985. Francis J. Gaudette joins Microsoft as vice president of Finance and Administration. · Bhopal: A gas leak at a Union Carbide plant in Bhopal, India killed over 3,000. · Nobel: South African Bishop Desmond Tutu won the Nobel Peace Prize. · Housing: The average price of a new single-family home broke six figures. · Beirut: The U.S. withdrew its Marines from Beirut following terrorist bombing. · Presidential Election: Reagan defeated Mondale and won reelection by a landslide 59 percent, carrying 49 states. 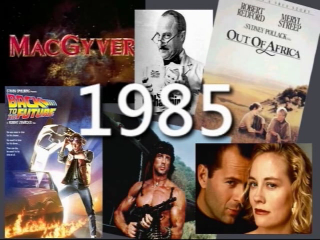 · VCRs: The Supreme Court okays home TV recording in its ruling on the Sony case. · Medicine: Baby Fae received a transplanted baboon heart. · Summer Olympics: The Los Angeles Olympics featured record-setting performances from Americans Carl Lewis, Joan Benoit, and Mary Lou Retton and were a commercial success despite being boycotted by the Soviet Union. · Hong Kong: Britain agreed to return Hong Kong to China in 1997. · Nuclear protests: The Diablo Canyon nuclear reactor in California went online despite protests. · Internet: By year-end, 1,000 hosts were on the Internet. In 2003, there were over 170 million. · TV: Sitcoms Kate & Allie and The Cosby Show premiered, to both critical and popular acclaim. Other top shows included Dallas, Dynasty, The A-Team, and Simon & Simon. · Tennis: McEnroe bested Connors at Wimbledon, while Navratilova topped Evert Lloyd. · New Orleans World's Fair: Although a financial failure, the fair did result in a large riverside park which opened up access to the Mississippi. · Oscars: Amadeus won Oscars for best picture, actor (F. Murray Abraham), and director (Milos Forman). Best actress award went to Sally Field for Places in the Heart. My first computer (well, it belonged to my parents, but anyway), was an MSX 2. So I don't know about the US, but these things were definitely available in Europe. I totally love this series. I certainly can't wait until next week when you talk about Windows. Great series of videos. I didnt realise Windows went so far back, and I never heard of XENIX before.